Ships today if you order in the next 9 hours 19 minutes. 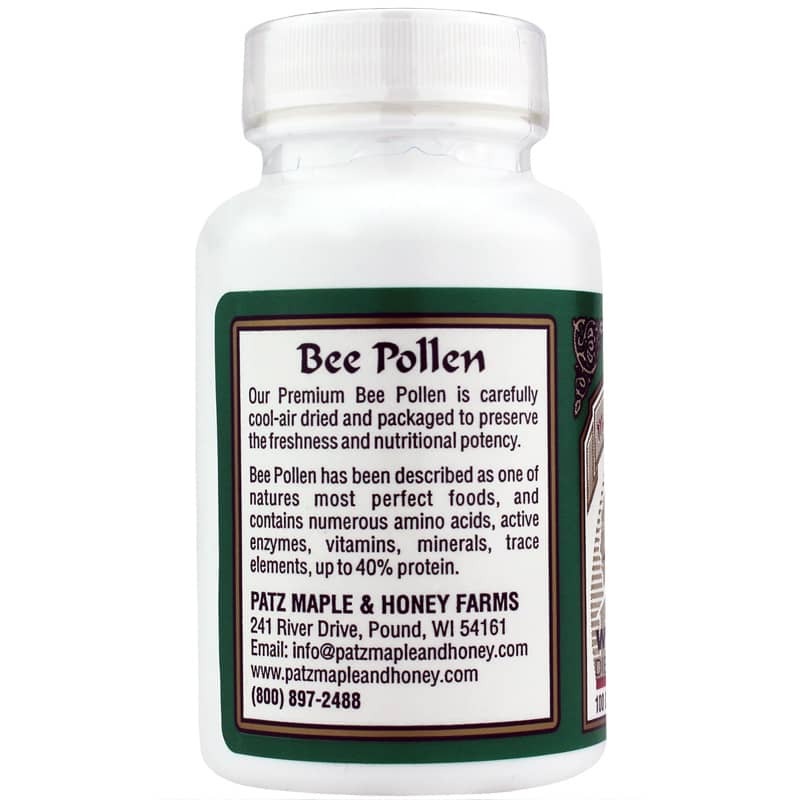 Bee Pollen Whole Grain from Patz Maple & Honey Farms seeks to support a healthy immune system and normal immune response to harmless substances and a healthy tolerance to pollen. These bee pollen capsules are unique in that they use pollen gathered every month between May and September. How it works is simple. When bees land on flowers to drink nectar, some of the pollen on the flower attaches to the bee and makes it back to the hive. The pollen otherwise would not be used by the bees. So it is collected, frozen, then at the end of the growing season cleaned, dehydrated, and blended together. When the mixture is consumed you are ingesting pollen from several different months from unique flowers. 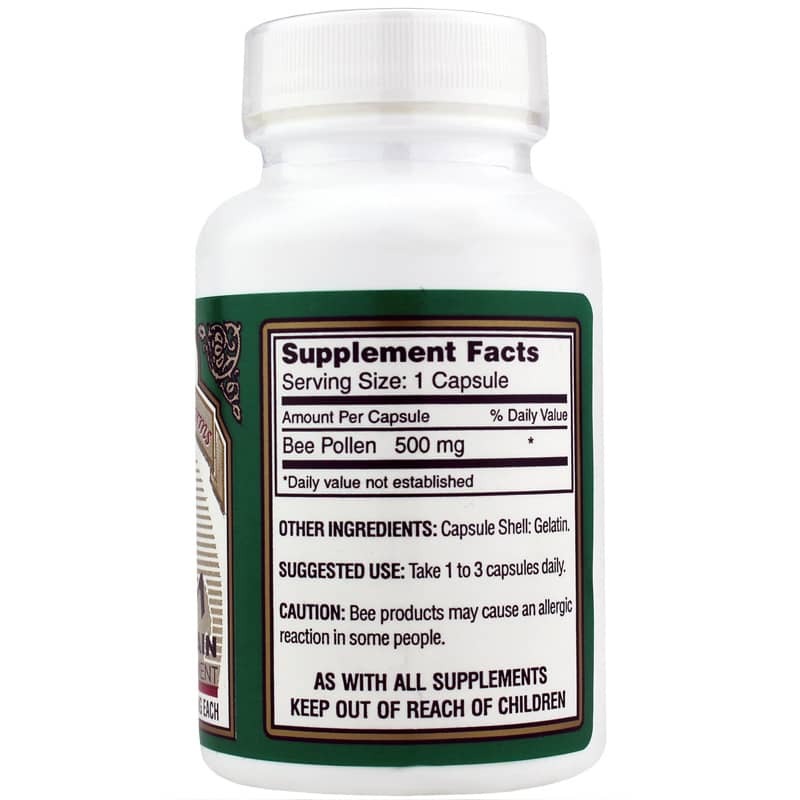 Take orally one to three times daily. We usually try to avoid pollen because it can make us not feel like ourselves. However, when you intentionally ingest pollen it is believed to support the body’s normal histamine response, which is part of a normal immune response to foreign substances. When the body comes into contact with allergens, the immune system produces different types of antibodies that cause cells to produce histamines, which act on different areas of the body as a means to support healthy cells. Intentionally exposing the body to pollen may support the normal histamine response to seasonal challenges. Add to protein drinks, milk, shakes and sodas. 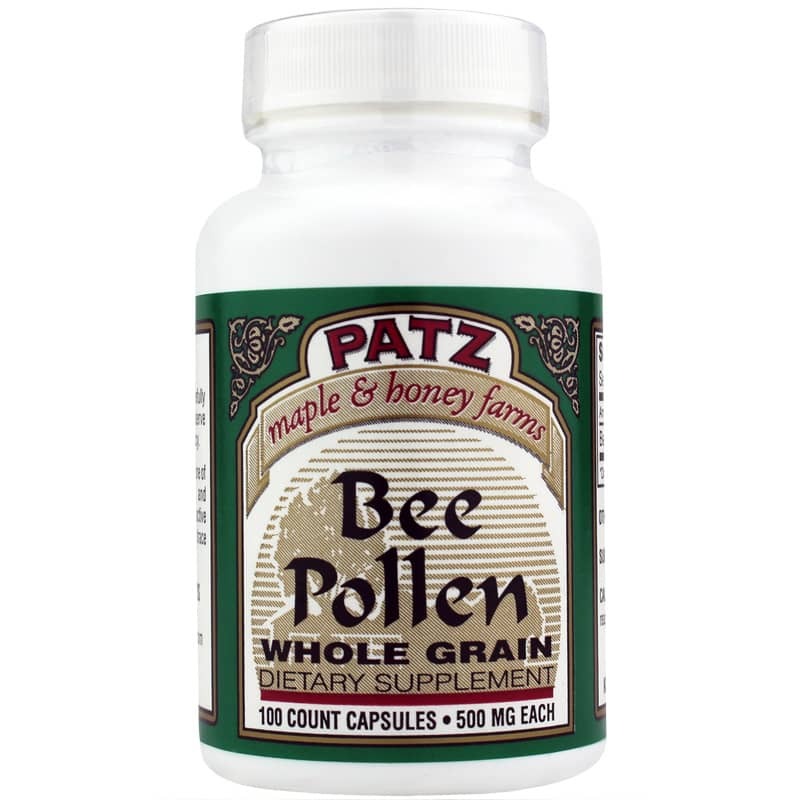 Instead of avoiding pollen, ingest Patz Maple & Honey Farms’ 100% Bee Pollen capsules for support during seasonal challenges. Experience it for yourself! Other Ingredients: capsule shell: gelatin. Bee products may cause an allergic reaction in some people. Keep out of the reach of children.